Following on from our Team Cavendish idea for Amstel, which saw a team of riders all called Mark Cavendish receive training from Mark Cavendish in preparation for Prudential RideLondon, we turned our attentions to the weekend of Prudential RideLondon itself – activating a newsworthy experiential idea that would position Amstel as the perfect post-cycling refreshment. 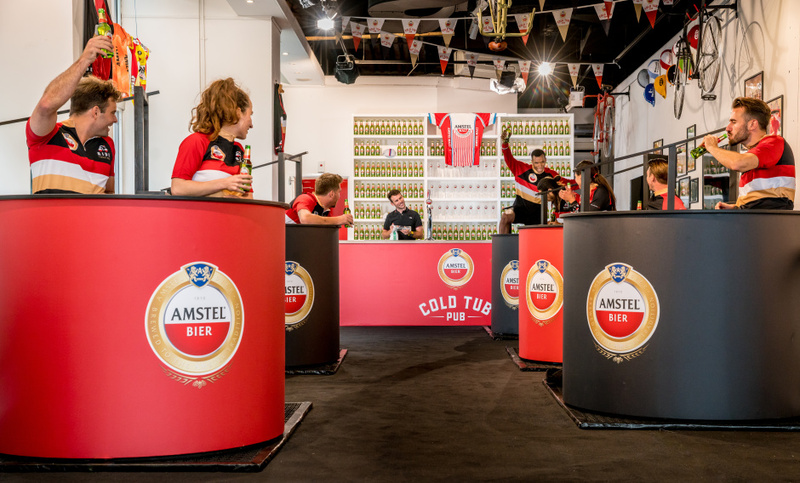 That idea was the Amstel Cold Tub Pub: a unique establishment where guests immersed themselves in ice baths while enjoying an ice-cold bottle of Amstel. The logic? 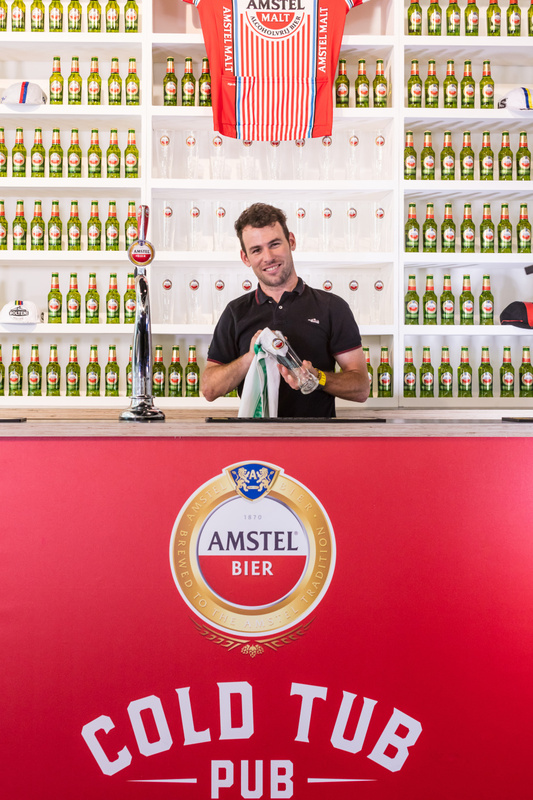 After a gruelling 100-mile cycle ride, the sweet relief of an ice bath for riders’ weary legs was just the ticket, while a refreshing Amstel beer was the icing on the cake. 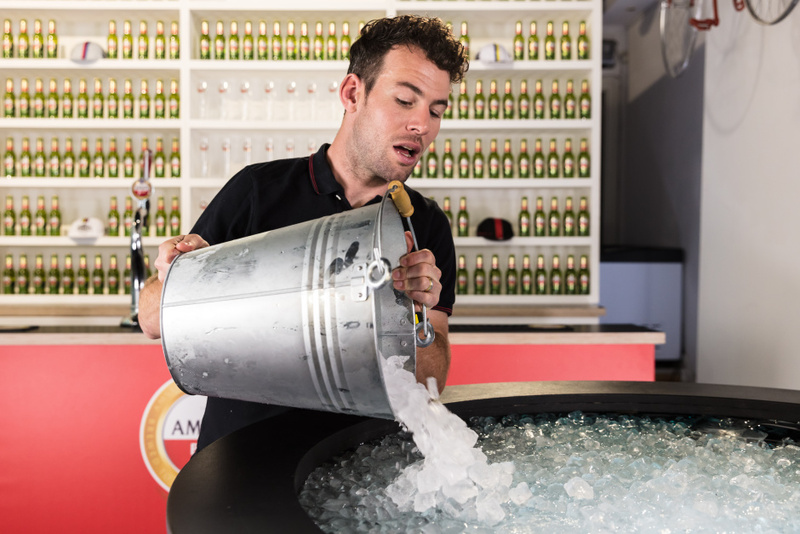 Fresh from coaching his namesakes, Mark Cavendish swapped beers for gears to become the honorary Cold Tub Publican: preparing the ice baths for riders and serving beers in a series of earned and paid content. 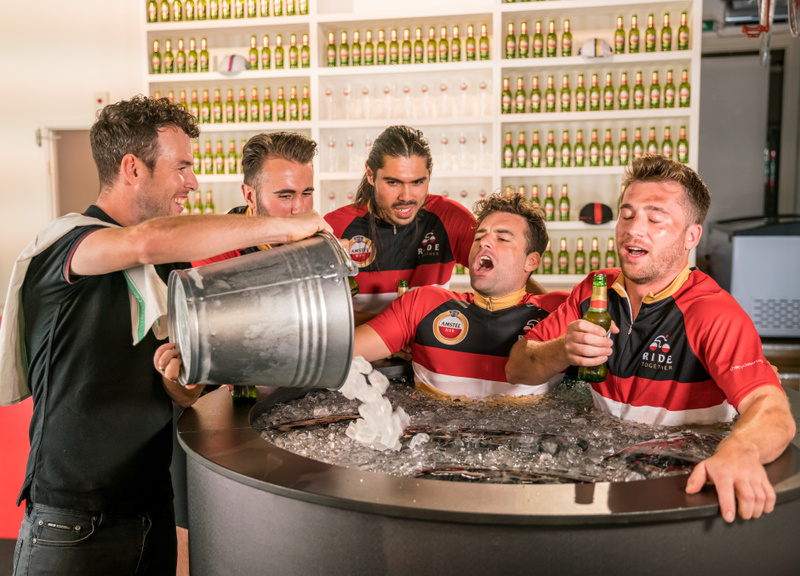 The Cold Tub Pub was a hit, both with cyclists’ pedal-punished appendages and also with the media. Highlights included a BBC interview with Mark at the Cold Tub Pub, Mirror.co.uk (whose attending journalist heroically took the plunge into an ice bath), The Times, The Sun, Daily Star, London Evening Standard, TimeOut, Cyclist, Road.cc, AOL, Yahoo and even ESPN, who, like the Mirror, filmed their staff taking on the cold tub challenge.